A train pulls away from the Collingswood, N.J., PATCO train station. In honor of the 50th anniversary of PATCO’s first Speedline trip between Lindenwold, New Jersey, and Center City Philadelphia, the transit company is having a little bit of a Throwback Thursday — or, rather, a Flashback Friday. 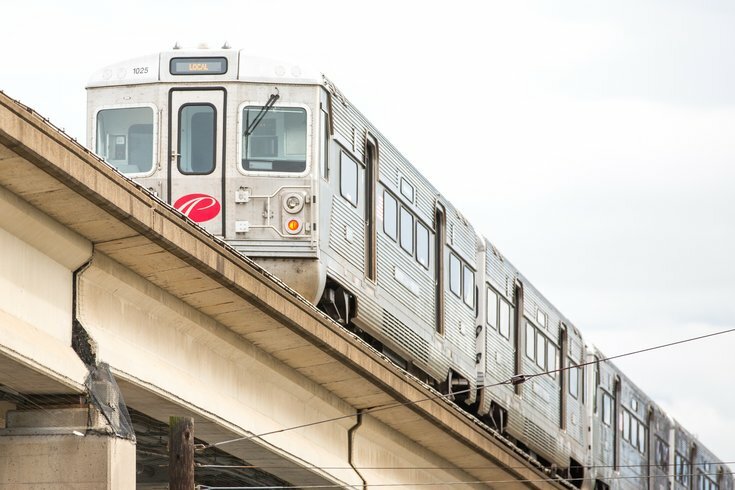 PATCO is instituting one-time ‘“Flashback Fares” for rush hour trips on Feb. 15 to celebrate its 50th anniversary, the company announced Tuesday. Instead of paying regular 2019 fares, riders will pay what 1969 riders paid on those first trips between the neighboring states. The best deal out of the bunch, percentage-wise, is on rides between the Philadelphia and Ferry Ave. stations: riders will pay just 21.6 percent of the modern fare. Employees will be stationed at the New Jersey stations between 7 a.m. and 9 a.m. the morning of Feb. 15, handing out a reproduction of the 1969 PATCO timetable, which is pretty neat. PATCO also announced a 50th anniversary bash, including a cookie giveaway (!) and a DJ, at the Woodcrest Station from 7 a.m. to 9 a.m. that morning. Last year, the Delaware River Port Authority released plans for the re-opening of PATCO’s Franklin Square station in Philadelphia.